At a modern-day nursing home, an elderly man, Duke, reads a romantic story from his notebook to a fellow patient. In 1940s Seabrook Island, South Carolina, Noah Calhoun is smitten with seventeen-year-old heiress Allie Hamilton after seeing her at a carnival, and they have a summer love affair. 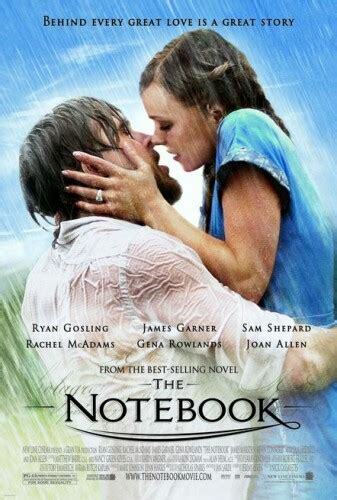 Noah takes Allie to an abandoned house that he intends to buy for them. They try to make love, but are interrupted by Noah's friend Fin with the news that Allie's parents have the police looking for her. Read more on Wikipedia.